The concept of ‘play’ is often associated with children having fun, distinct from the concept of, say, ‘learning.’ In fact, that’s a HUGE misinterpretation of play! Play aids the physical and mental development of children, whilst encouraging kids to interact with their community from a young age – ultimately playing a part in shaping society, too. Playtime is a vital tool for developing people as well as communities, and what better time to explore play than that of the summer holidays? Here at Eden Project Communities we’re already convinced that play is a positive tool in fostering development and community connections. Childhood is an extraordinary time for a human being, and the old maxim that children should be seen and not heard is not conductive to healthy cognitive and social development. Play encourages children to use their whole body, thereby enhancing their motor skills, as well as developing verbal and physical communication abilities. Playing in an outdoor environment is additionally beneficial, as the multi-sensory nature of the outdoors allows children to learn through the experience across all of their senses. 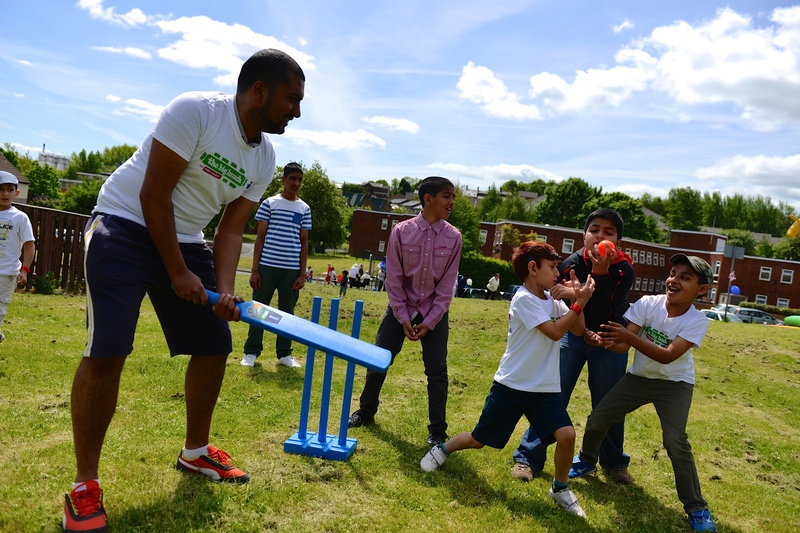 Encouraging children to interact with their local area – whether playing on the street, or in a nearby park – empowers and encourages their active participation in the community. Playtime turns into socialising, and early engagement ultimately becomes social responsibility. For ten years, we at Eden have developed and delivered a range of outdoor based play programmes for children of different ages and abilities, sharing our expertise on nature and narrative based play to support families in creating more child-friendly communities. We have combined advancing knowledge of environmental education, to offer family-led play opportunities to our wide audiences (last year more than 7.3 million people participated in The Big Lunch, the annual event where neighbours across the UK come together over food) so that more people can experience the benefits. We’ve learnt that children to get the most out of the natural environment when their families feel safe and confident, whilst being able to use the outdoors to transfer knowledge, foster creativity, stimulate activity and have fun. However, many parents do not feel confident or equipped to make the most of the many play opportunities outside. In addition, many families in the UK live in built-up, urban areas, and lack easy access to safe spaces or green areas. We’ve recently launched a pilot project to encourage small groups to come together to create active play opportunities in both rural and urban environments. 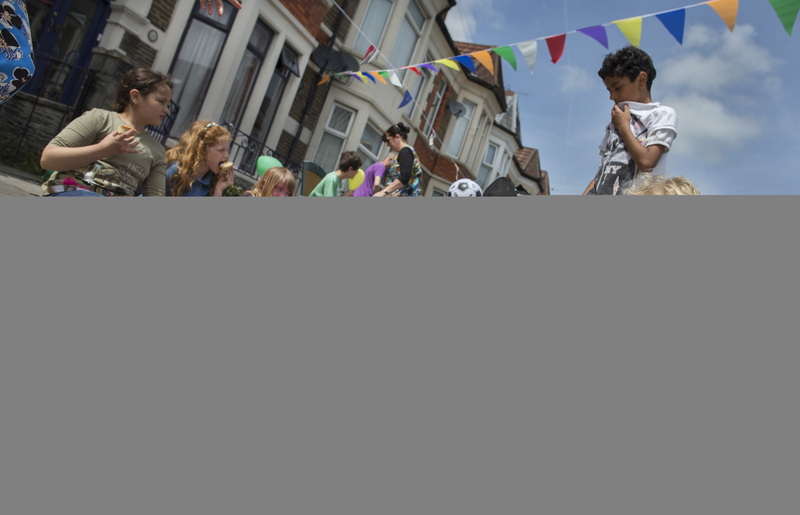 Many communities are also implementing their own initiatives to encourage play in their neighbourhoods – from closing their road to throw a street party, to embarking upon a project to transform an outdoor space into a park. Over the month of August, we’re going to be celebrating the value of play with a collection of stories, blog posts, interviews and inspiration to show how play can benefit you and your community. We’ve got some brilliant guest bloggers from all over the UK ready to join in the discussion – feel free to join in the conversation on Facebook and Twitter. Written by Juliet Rose. Juliet is the Community Programme Development Manager for the Eden Communities Programme. She has worked for Eden since the beginning and is responsible for developing new programme ideas and opportunities, in education amongst other areas.